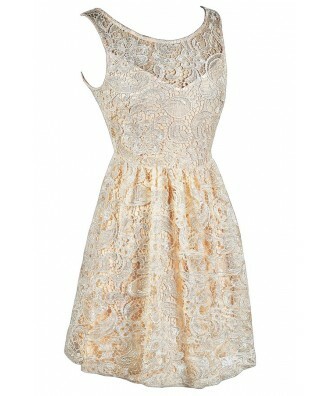 You have added Ready For Rehearsal Cream Lace A-Line Dress into shopping cart. 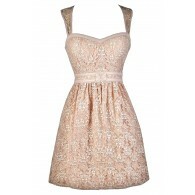 This lace A-line dress is made of a gorgeous metallic fabric. 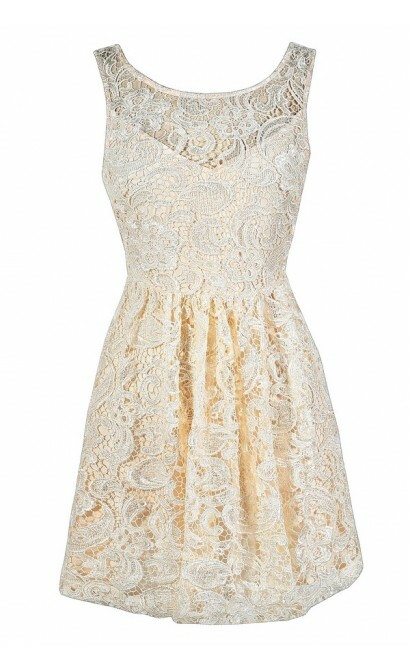 We think this would make a lovely rehearsal dinner dress or bridal shower dress. The Ready For Rehearsal Cream Lace A-Line Dress is lined below the bust, but the neckline is semi-sheer. It has a rounded neckline, empire waist, and A-line skirt. A V dip back and hidden back zipper complete this dress. 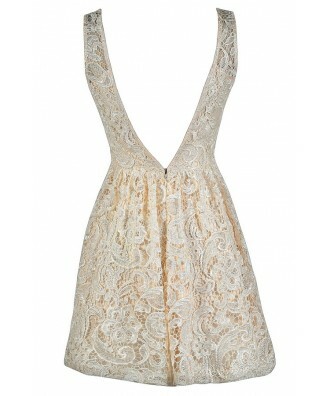 The Ready For Rehearsal Cream Lace A-Line Dress would look nice paired with pumps, wedges, or strappy heels and a clutch. Toss a fabric sash around the waist of this dress for a cute contrasting look. Details: Lined below the bust. Hidden back zipper. 100% polyester. Lining: 100% polyester. Hand wash cold water separately. Color will bleed. No bleach. Hang to dry. Small measurements: Length from top of shoulder to hemline: 34". Bust: 33". 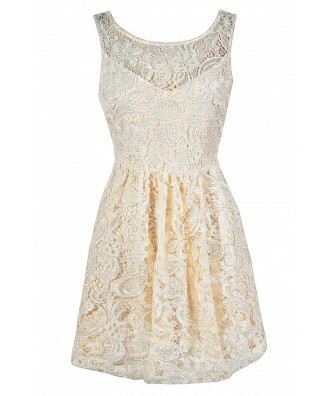 You have added Ready For Rehearsal Cream Lace A-Line Dress into Wishlist. 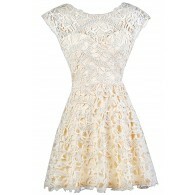 You have added Ready For Rehearsal Cream Lace A-Line Dress for Stock Notification. 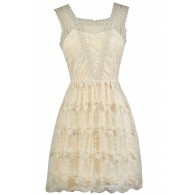 You have set Ready For Rehearsal Cream Lace A-Line Dress as a loved product. 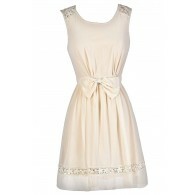 You have removed Ready For Rehearsal Cream Lace A-Line Dress as a loved product.